Being behind the wheel for the first time can be scary, not only as a driver but also as a parent or educator. Vehicles are heavy and dangerous, and being a driver for the first time should be taken very seriously. It isn’t always second nature to be educators either. I remember my first time driving with my mother. She would, out of impulse, slam on her imaginary brake from the passenger seat. So, what do we need to know before being both the driver and the educator? This article will go through some tips for first-time drivers and the people teaching them how to drive. Before even getting into the car, it’s important to be in the right mindset. You don’t want to be an overconfident or an insecure driver – cautiously aware is the sweet spot. It’s important that the driver is calm and ready to listen to instruction, especially when the car is in motion. Learning before the car is even in motion is a good place to start. Know where everything is including the gas, the brake, the side and rear view mirrors, as well as what everything means (stop signs, yield signs, green lights, yellow lights and red lights) is crucial as a first time driver. It’s also important to make a game plan for if something urgent happens and what the driver should be doing in those situations. Urgent situations can happen without warning and having a plan in mind will help when in those situations. Consider reading the user manual of the car as well. Not all vehicles are the same, so knowing how the vehicle works will help. It’s also a good habit to get into when there are a couple different vehicles involved in the learning and, ultimately, driving process. The user manual is usually kept in the glove box. 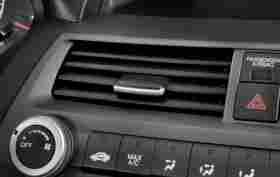 It’s a good idea to understand the manual workings of the vehicle, but also what all the lights within the it mean. Having a gas light come on mid-drive is no reason to panic, but a new driver may not know this. Getting familiar with the vehicle’s system is a good place to start. If the new driver is a particularly anxious person, teaching them breathing techniques will help. First try taking deep breaths, exaggerating the exhale. If that does not work try taking a 4 second inhale, hold for 2 seconds and then a 6 second exhale, and repeat. This will help steady the heart and reduce anxiety. Next, you want to get into the car and make sure that everything is set appropriately. The seat should be comfortable and upright, with easy access to the gas and brake without being too close. 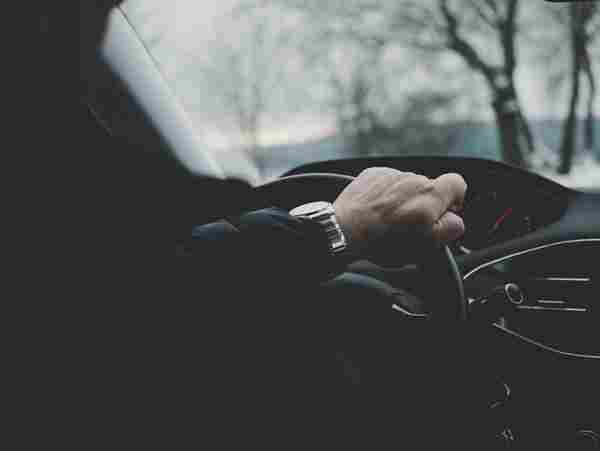 The steering wheel should be set at a level that is easy for “10 and 2” holding (this is when you imagine the steering wheel as a clock, placing your left hand at where the 10 would be and your right hand at where 2 would be). It should also be low enough that the driver can see above the wheel, but not so low that the wheel rests on the driver’s legs. The side view mirrors should be set so the driver can see out of them properly and the rearview mirror should be low/high enough to see the road too. Some vehicles also have seat adjustments that allow the driver to adjust the height. This can be adjusted as long as it doesn’t take away optimal control of the petals. The height adjustment is good for shorter drivers. Once the vehicle has been adjusted to optimal positions the driver is ready to get on the road. It is important to not only be calm at all times but also important that the driver trusts their instructor. As the instructor, it’s important to also be calm. If in a sticky situation the instructor getting anxious will not help the driver stay calm. Avoid all distractions including music, cell phones, and GPS for the first couple of rides. 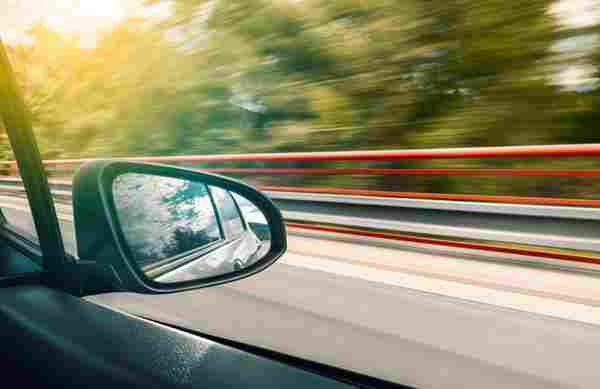 Choose a residential street or somewhere out of town (where traffic is low) for the first few drives until the new driver feels comfortable with accelerating and braking. Also, ensure that the roads are familiar as it may be very nerve racking to spontaneously hit a traffic circle on your first drive. The drive should be earlier in the day when it’s light out. Driving in the dark is a whole different animal than during the day. Be mindful, as well, when driving in the rain or snow. Pick a nice day, with clear roads to start and work in different driving environments later on when the new driver is more confident in their abilities. On the first drive, practice accelerating, slowing down, changing lanes, checking the mirrors and shoulder checks. Once these concepts are a little more familiar, start driving in areas that have stop signs, yield signs, and traffic lights. After these are comfortable, try to drive in areas with light traffic. It’s also a good idea to get a ‘First Time Driver’ sticker for the back of your vehicle so that others driving near the car are more patient and less likely to become agitated, adding undue stress to the new driver. Consider asking friends and family for advice or to speak to the new driver. Make sure the stories aren’t terrifying ones, but rather things to consider that you, the driver or the instructor, may not have thought of. Also, remember that any drinking and driving will slow down the driver’s instincts and reaction time. If anything over 0 is found in the breath sample, the driver could be stripped of their learners or license. Additionally, no amount of text messaging and driving is okay. If a call comes in and the vehicle has Bluetooth capabilities answering may be okay as long as the driver feels comfortable on the road and multi-tasking. However if not, then consider pulling over and answering the phone when the car is fully stopped. Practice will ultimately make perfect so try to practice regularly before the drivers exam. When driving becomes more natural consider also going through non-driving items like how to pump gas, changing a tire, adding washer fluid and how to jump start a car. When the new driver starts driving on their own they are going to need to know how to handle these situations. Remember that other drivers aren’t always understanding and they can act erratically. It’s important that the new driver be aware of the drivers around them and stay calm even when in sticky situations. Consider learning and practicing breathing techniques to stay calm while driving. Practice in low traffic areas for the first little bit and build up. And always remember to practice safe driving including wearing seat belts, knowing where the airbags are, having proper adjustments set before driving and driving on clear days during the daytime. 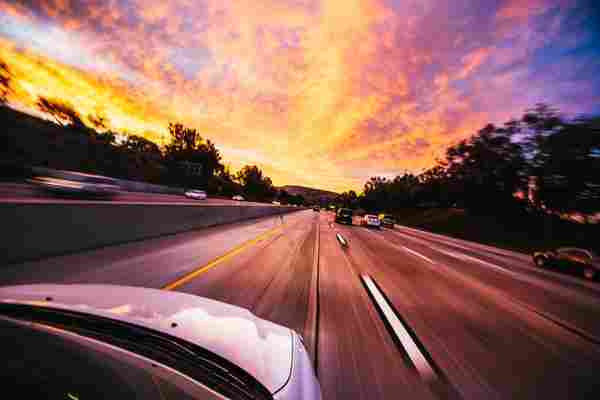 Though driving for the first time can be scary, with practice those safe driving instincts will become second nature and the driver will be able to enjoy the ride. Happy travels!